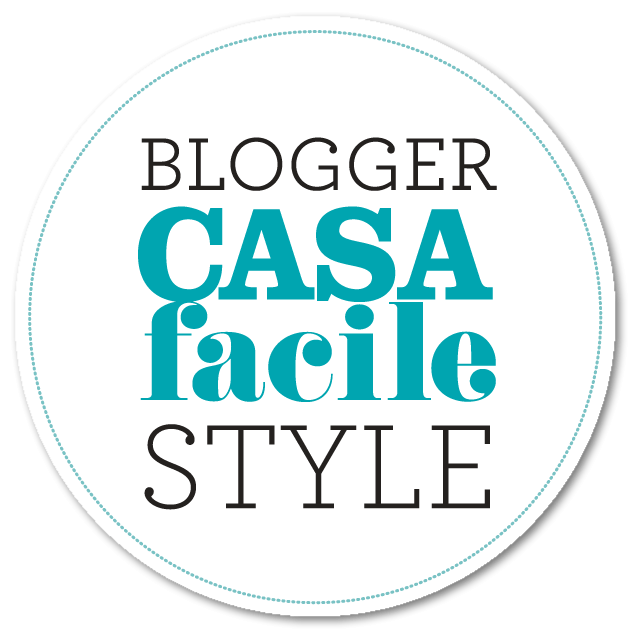 In today’s post I want to talk about the latest trends for the kitchen. The classic white kitchen, while remaining a great classic (and certainly a safe choice), seems to leave room for more original choices. 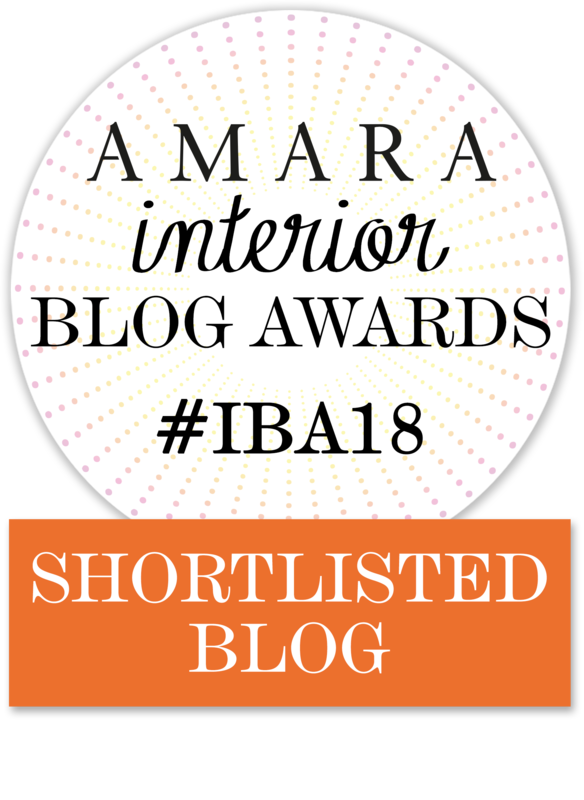 I had already talked in this post about black kitchens, which continue to be a strong trend this year too: perhaps a bold choice but capable of giving great character to the kitchen. Black kitchens can also adapt to many styles, from the contemporary style (if combined with a beautiful marble top and brass details), to the industrial style up to the Scandinavian one (in this case dampening the black with shelf and wooden details). I like it a lot, I think you know by now! The latest trend, however, seems to be the one of colors. No to bright colors like red or yellow, the trends are pastel and desaturated colors. 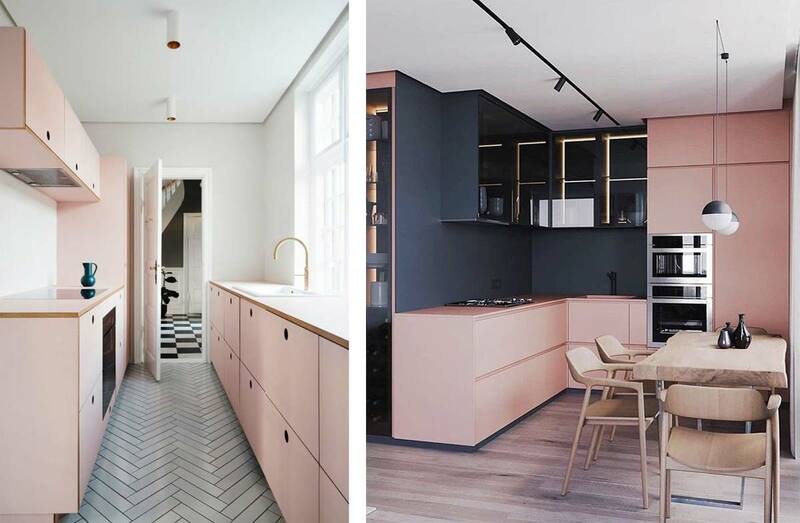 Dusty pink continues to be very trendy (it has been for a couple of years now) and also enters the kitchen. 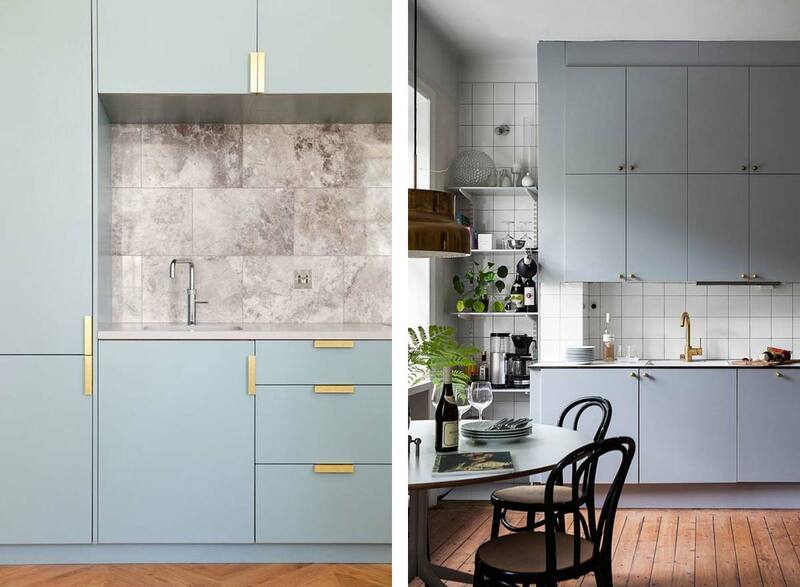 Even light blue seems to be a new trendy nuance, an unusual color for a kitchen but I like it a lot. This trend is characterized by matte finishes and the combination with details, such as tap and knobs (I have already talked about the black taps in this post) in gold/brass or black. Another very trendy color is green. 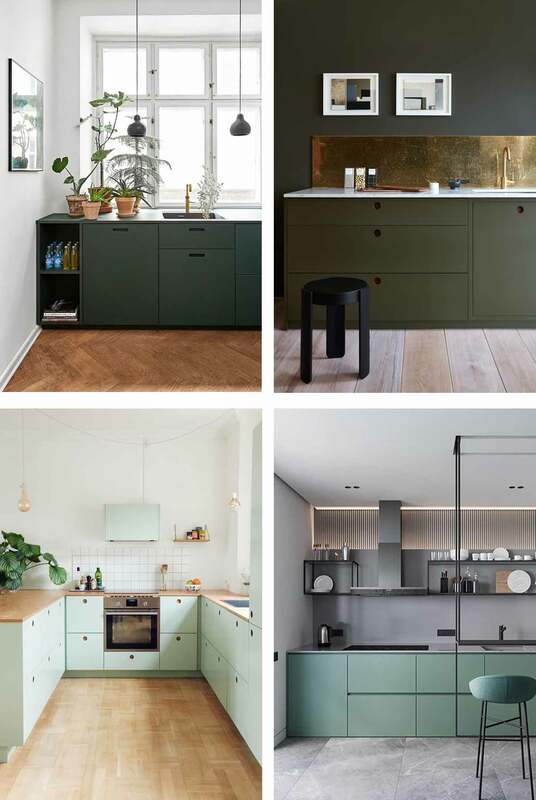 I had already written here about forest green being one of the colors of 2019 (we find it this year in the collections of many brands such as Ferm Living) and indeed we also find it in the kitchen, declined in different shades, from dark green to olive green, from pastel green up to military green. 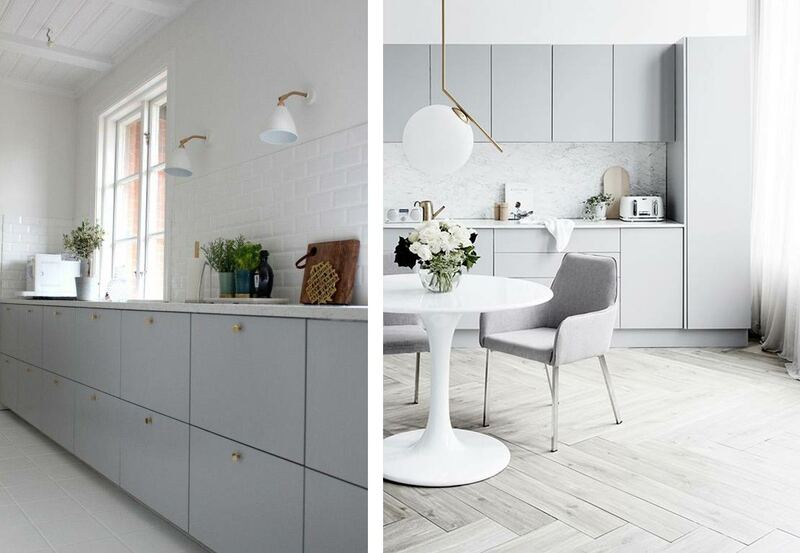 The latest color, especially in the Nordic interiors, is a very light gray and of course, for me that I love grey, it is also my favorite. I think it is more original than white but just as bright and, above all, is very chic. 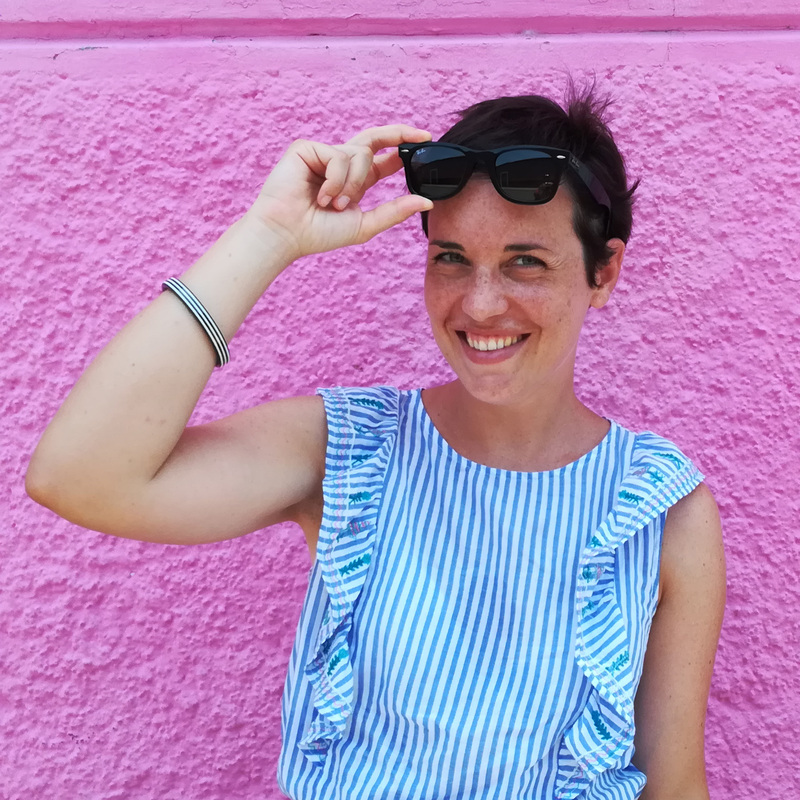 Also in this case, I had already talked about how to use gray at home in this post and, as for pink and light blue, my favorite combination is the one with brass, marble and white. Be inspired by these colors and let me know which one you would choose for your kitchen, I’m curious.